Buying or selling a home is serious business. For any of us, buying a home is one of the most significant decisions we make in our lives. As if finding and selecting a home were not stressful enough, the purchase process, starting with the Agreement of Sale, comes with a mountain of documents and paperwork. Oftentimes, a realtor presents a form Agreement of Sale to a buyer or seller for signature. The form Agreement may not adequately protect your interests or can waive important rights. Therefore, from the very outset it is important that you have experienced legal representation regardless of whether you are a buyer or a seller. 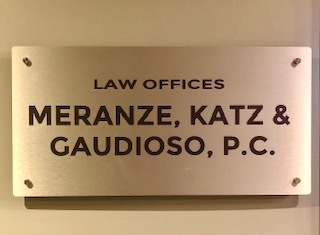 The attorneys atMeranze, Katz and Gaudioso PC are available to represent you at all stages of residential real estate transactions – from the Agreement of Sale through settlement. We also can assist you with document review and advice even if you do not have us come with you to settlement. Our legal services also include simple transfers of property between relatives.